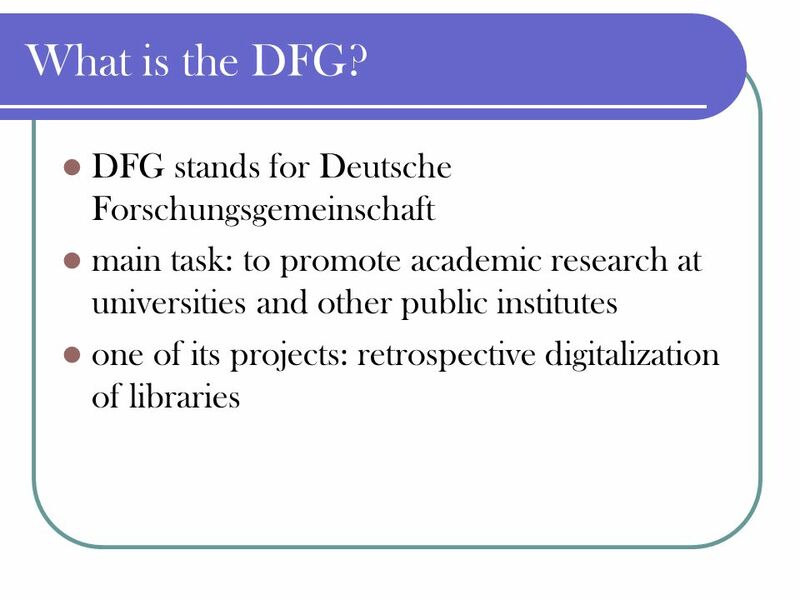 Download ppt "Digital Libraries Deutsche Forschungsgemeinschaft (DFG)"
Don’t Type it! OCR it! How to use an online OCR..
Accessing our databases. Databases We have several databases you can access from school or at home We have several databases you can access from school. Tony has been searching the Internet and has found great pictures for his science report. Is that okay just to use? Explain. As long as he gives the source. Inaugural Meeting of the Cardiff EDC Forum Guest Building Wednesday 19 January 14:30 Ian Thomson Director, Cardiff EDC. How Do I Conduct Research? True or False? 1.The internet is the only source for research. 2.I can a lot of valid information in books. 3.I need to look. Web design Most digitisation projects are made available through Websites Effective Access depends on good web design Identify users and their information. 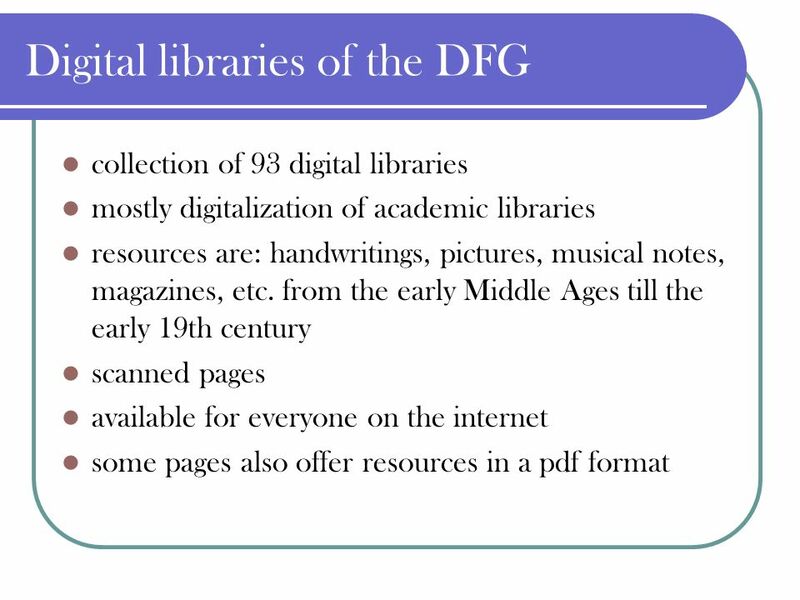 Online Resources Introducing F.W. Davison’s New Online Customer Resource Center. 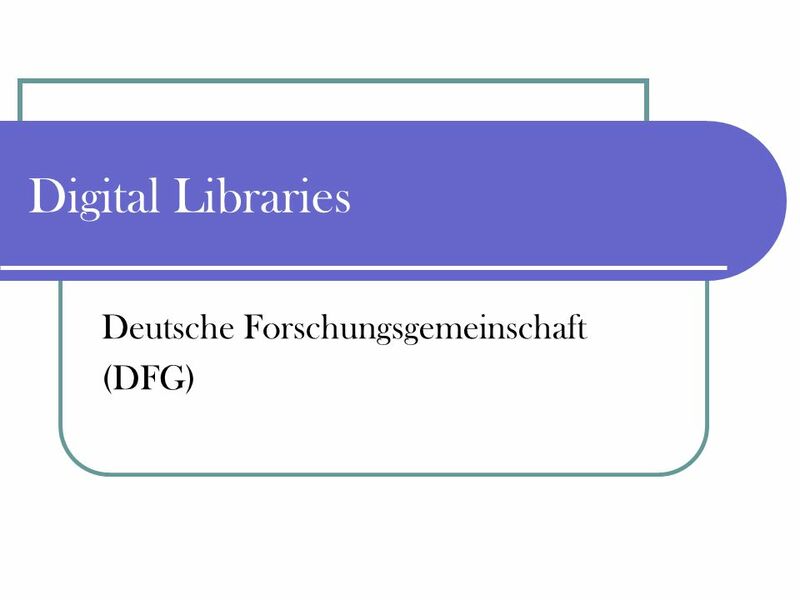 Berlin, Knowledge by Networking 2007 Scientific Library Services and Information Systems: “Digitisation. Dawn Paschal Beth Oehlerts Yongli Zhou Amy Meger Colorado State University Libraries. Product Design Sketching Activity Presentation Layout Activity Presentation Layout. 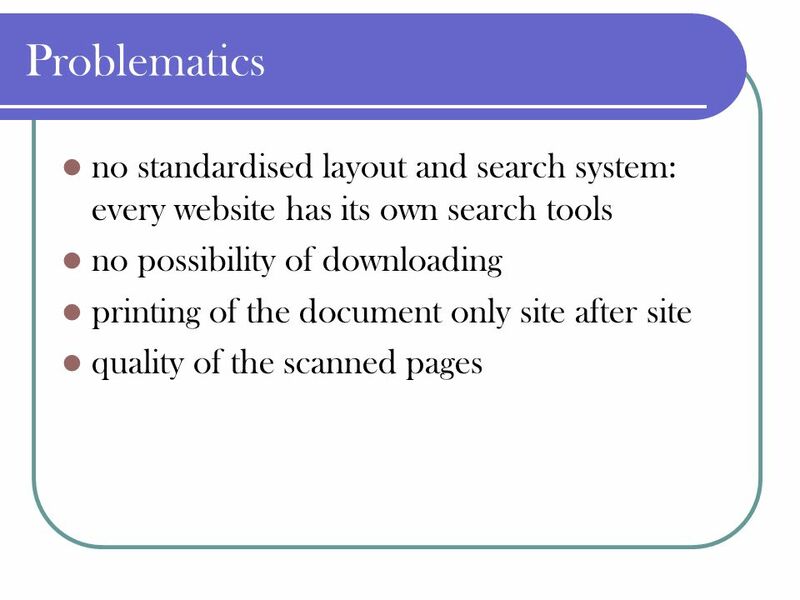 Finding Information Online Objectives: Students will be able to distinguish between web search tools and library search tools and understand the types. Doing Effective Research Using Library & Web Resources. Introduction to Information Technology in Dermatology Part II Rick Lin, DO MPH First Year Dermatology Resident Texas Division of the KCOM Dermatology Department. STORMY WEATHER Fall Semester Project. Objectives The students will be able to  research the origin of the names hurricane, tornado, typhoon.  research. Digital Partnerships at San Francisco Public Library: So Many Suitors, So Little Time. There is a description of each database on this page. New Innovative Access to Educational and Cultural Multimedia Contents Yuka Egusa Educational Resources Research Center, National Institute for Educational.  Linking to a school website page  Linking to a class blog  Linking to student writing  Giving instructions to students.